Raumfahrt - Does Stratolaunch Have a Top Secret Purpose? Astronomie - New galaxy found? Astronomie - Maximum Alienness / What might make life hard to recognize as life? 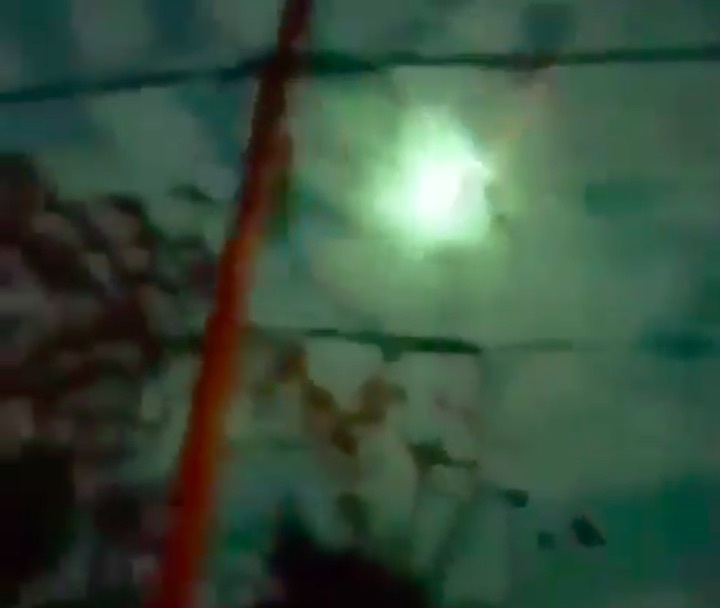 NASA says a fireball that streaked across the Southeastern sky was traveling about 53,700 mph (86,400 kph) when it lit up the night over Alabama. 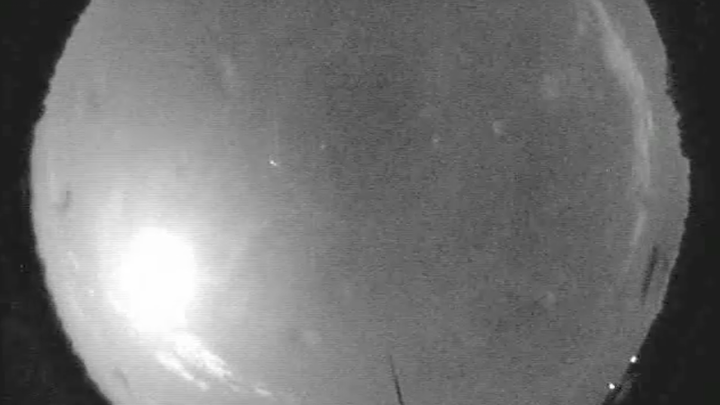 The Meteoroid Environment Office at NASA's Marshall Space Flight Center says numerous people saw a very bright streak early Friday. 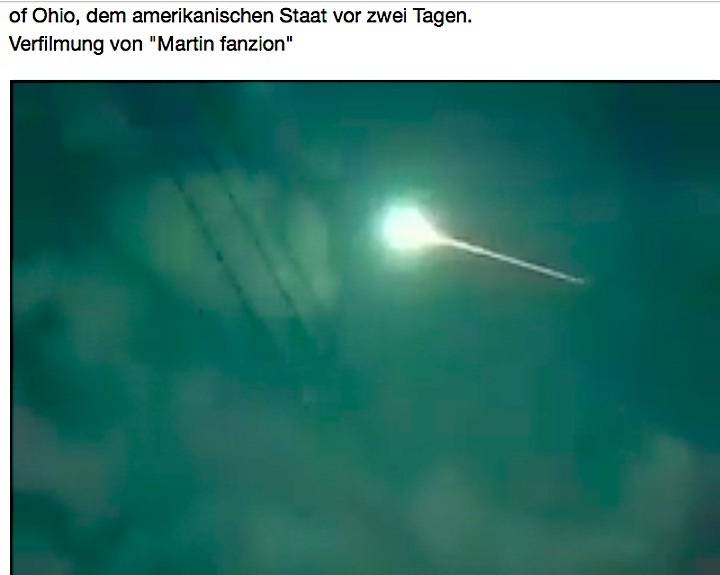 A statement and video posted on Facebook says an analysis shows the meteor was first seen at an altitude of about 58 miles (93 kilometers) above rural Turkeytown, which is about 80 miles (129 kilometers) northeast of Birmingham. The office estimates a small asteroid about 6 feet (1.8 meters) in diameter then broke apart about 18 miles (29 kilometers) above the town of Oak Grove. It was at least 40 times as bright as the full moon at one point. Researchers are assessing whether any fragments from the rock might have hit the ground. 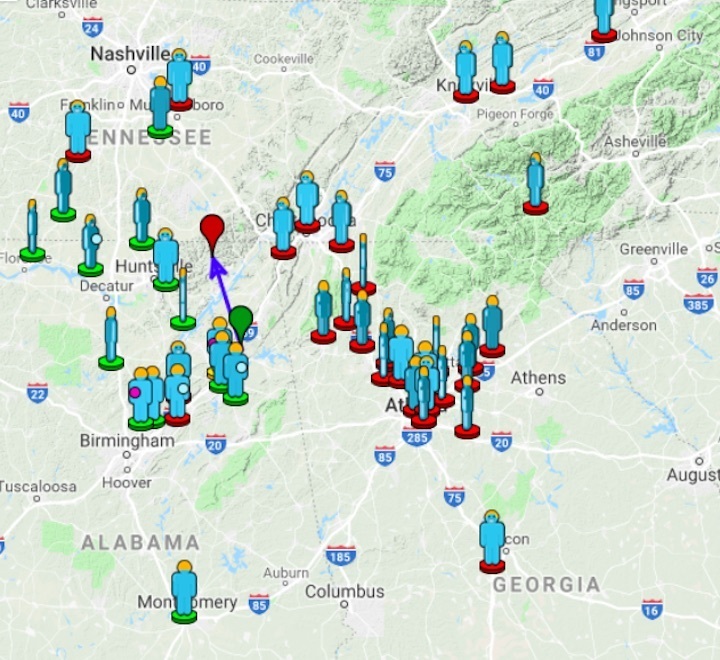 We received 44 reports about a fireball seen over GA, TN, AL and NC on Friday, August 17th 2018 around 05:17 UT. Dozens of people in the Southeast U.S. were treated to a special cosmic show in the wee hours of Friday morning. 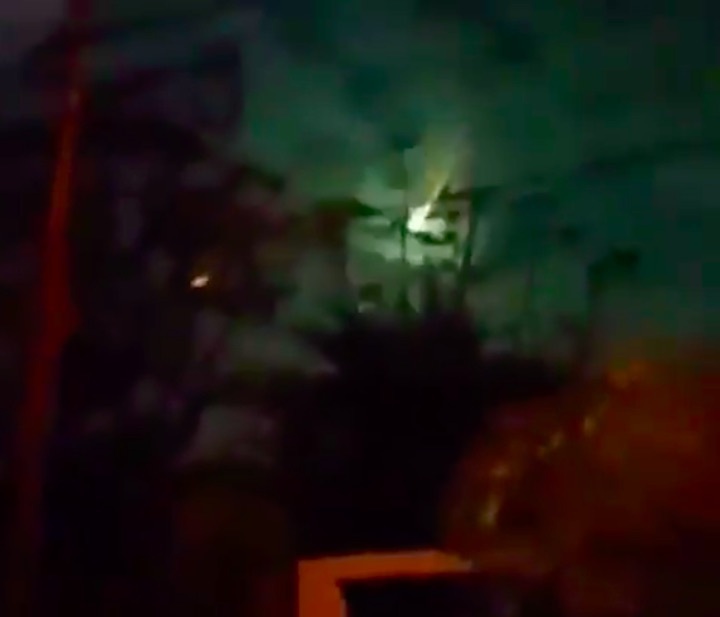 An exceedingly bright fireball meteor streaked above that part of the country at about 1:19 a.m. ET on Friday, and it was caught in the act by NASA's all sky cameras in Alabama. 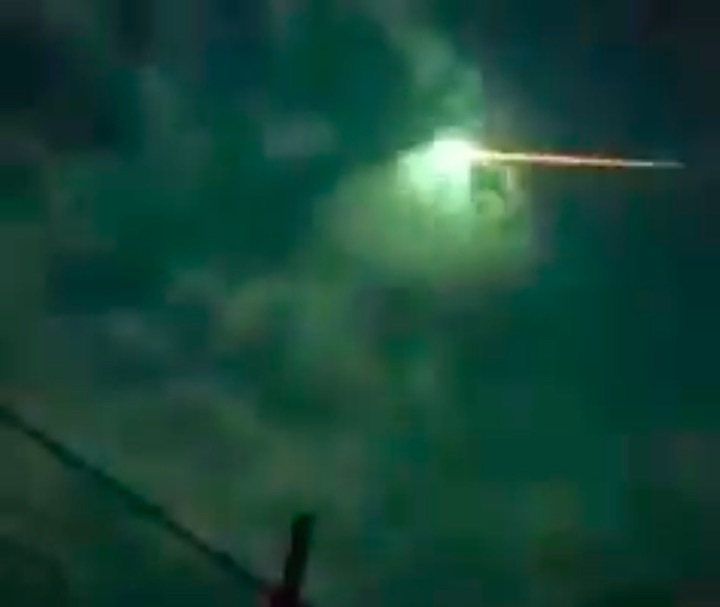 "Early results indicate the fireball, which was at least 40 times as bright as the Full Moon, was caused by a small asteroid 6 feet (2 meters) in diameter," NASA said in a Facebook post. It's possible that some small pieces of the meteor made it to the ground — where they're known as meteorites — but it's unclear whether any small chunks made it all the way through the atmosphere, NASA added. The American Meteor Society (AMS) also fielded reports from 44 people who saw the meteor from the ground. 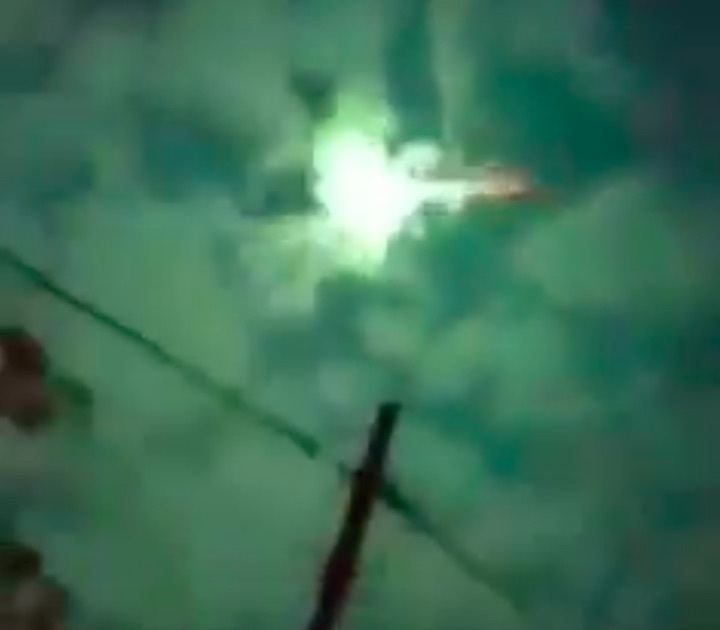 "Looked like a big bright blue ball of light falling from the sky with the trail of light behind it," AMS user Channing G. in Rockvale, Tennessee said. "The entire sky lit up bright blue. I was on the road next to an empty field with no street lights. It’s was extremely bright!" According to the AMS, fireballs enter Earth's atmosphere every day, we just don't see them very often. Most of these bright meteors streak over the ocean or other areas far from cities. "Additionally, the brighter the fireball, the more rare is the event," the AMS said in a FAQ. "Experienced observers can expect to see only about 1 fireball of magnitude -6 or better for every 200 hours of meteor observing, while a fireball of magnitude -4 can be expected about once every 20 hours or so."